How To Show Blogger Profile Images In Blogger Comments.As many of us bloggers saying it as showing of avatars in blogger comments but they are not avatars, they are just your blogger profile images and many readers also get mistaken by it, But they are right to say them as avatars, as they are like avatars for our bloggers.As it has been near about an month blogger has released this feature and i have found most of the bloggers also using this in there blogs.But some still have problems and not have made the solution for blank spaces in comments for anonymous comments.So i would like to hold a complete detailed tutorial on it.The below picture show up how profile images show up in blog as i have taken this snapshot from my blog after implementing this hack. 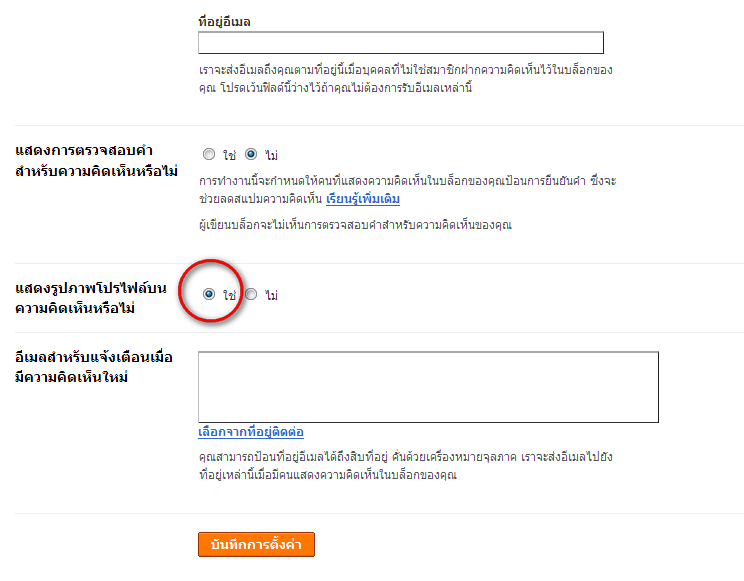 Now How to enable the blogger profile images in blogger comments. If you are using default blogger templates then they get enabled and profile images will start up to show in blogger comments.They can also start up to show up in some customized templates but it depends at to what extent there comment section been customized or not. Some Of The Problems You Wouldn’t Like even after Enabling Profile Images In Default Template. There will be two major problems in it. 1)The bloggers who don’t have uploaded there profile images to there profiles while comments will show up a blogger favicon of size 16×16 like below.It doesn’t look good from my point of view because the blogger profile images show up a picture of size 35×35. 2) The bloggers who do comments with there blog urls or anonymous comments will end up with a blank space in comments.That looks really awkward.It destroys the beauty of comment system as you can see from below image. I have shown all the 2 problems in above picture as i hope it will be clear to you right now.Now we need to solve these problems.But first i would like to tell you about how to enable profile images in comments in blogs who are using customized templates, just what they they need is to edit small bit of codes in there blogger html.Now carry on with this tutorial. First of all enable the feature of profile images in your blogger settings as i showed above.Now check your comments.If it shows up blogger profile images in comments,then its ok else follow next step. And replace it with the above line which you didn’t found in your codes. And replace it with the top most line which you didn’t found initially. If you are using the author comment highlighting trick then you can get this code <a expr:name=’data:comment.anchorName’/> once more in your template but not necessary.So replace it also with above codes. Now Save your template and you will be now able to see blogger profile images in your comments as i showed above in picture but with the two problems of showing favicon of small size and blank space for anonymous and other url comments. What we need is now to resize the blogger favicon to the size of blogger profile images and we need one more image for showing up for anonymous and url comments.As Soufiane from LeBlogger was the first to come out with the solution and helping us. You can just edit the image link, height and width in above css codes as you like. Now The the above image will be shown up for anonymous and url comments and favicon will be resized to width and height of size as you set as above in css codes.Now check how the better comments look as compared to above i shown. I am sure now you will have no problems in implementing this in your blogs.If still you have some problems leave your comments i will try to solve them.Best Of Luck ! As i have been seeing that some of the bloggers are not getting this line <a expr:name=’data:comment.anchorName’/> in there codes.So i wanna tell you one thing i.e the complete codes which enable profile images to be placed in the blogger.Just you have to place these codes in blogger, i think they might also can help you. If you will put this codes in place of the code i told you find in beggining of tutorial that is the comment-block one the hack will also work, just you have to adjust the closing of div tags or dl or dt tags depends what have been defined in your template codes. And if still you not able to do it and want to enable it,just invite me to your blog at my id anshulaffprg[at]gmail.com and i will do it in 5 minutes for you as i get admin to it. Blogger has introduced profile pictures, so the function is available natively. You just need to enable avatars from the settings page. However thirdparty templates may be unable to show the profile pictures in comments.. then of course they can use your hack. Alternatively you can use http://www.disqus.com which is a great comment system. I have switched to disqus. I want to ask you one hack! This new feature seems cool! I have to take the time and install the code. Thank you for all your tips! Nice hack but there is one problem still. The comment author's photo shows up only on the first comment they make, not the second, the third, etc. I just love your site. All my blog layout is designed using hacks from your site only. Keep sharing the knowledge. i have to see your codes. However, the comments are looking more organized in the boxes. Thanks for this hack! Sir ye Kis Tarhan se Hoo Ga? @prabhat ya this is the problem we facing. @lonely just go to that contact us page post and disable comments for that post so no comment form will appear for it. @anonymous at the end i have told you to add css part add it.With this the space will never appear blank.Atleast that image will show of for sure.And all comments that will be with profile links of blogger will show up a blogger favicon only for previous comments,the blogger profile image will shown up only in previous comments in case if he or she would have added blogger profile image also in past when it commented.Then it will appear. So you finally publish this ! Avatars fail to display for blogs with many comments since October 16. Thanks, thanks a lot Anshul for the link…. My blog PageRank was updated today (Aneesh one too), yours too ??? now it's PR3 Congratzz dude…. @soufiane its bad news for me when i was on blogspot it was 4 and on domain it reduced to 3.Sad for me i was expecting atleast 4 to be at same position. @soufiane thanks but i also think releasing templates and giving footer credits links nofollow link will be good as making them dofollow leads to hundreds of useless backlinks from 0 rank blogs which effects the pr. hello sir in my blog comments does not show in profile selection area the anonymous and name url how to add these help me. So you think that many 0PR backlinks is bad for your own PR ??? @soufiane ya its always bad to have so much 0 or 1 page rank backlinks. @amer can't say until i check or see codes whole. @sultan unable to understand what you want to say. Why do some people's avatars look the same although they don't use the same avatars? I cannot find the second code that need to be replaced. @clearly then i need to see your all codes and tell you. Thank you I tried but it doesnÂ´t work in my blog. Can you help me? any other way to enable avatars ? @qwerty i have added more part in post read it completely now. @querty Just grant me admin it will be good if you don't want send me html with expanding widgets in notepad file at my email mentioned in post. @admin just mail me your codes i will do that for you. @ Anshul , Thank for your support . @admin the codes you gave had comments avatars activated in them i checked by installing.You might not have activated the option to show avatars. Activate them as mentioned at beggining of my post. I did nothing to your codes and showing avatars. I have already setting to show profile follow your first step ,but i can not see avatar yet. This is a picture when i setting to show profile. Thanks for the help and kindness. @admin ya but in your codes it was installed.If you really want then u have to grant admin to me to your blog to check now and solve it. so could u help me? you all commensts have been made in wordpress style need to change template or whole comments codes. well , now I want to change my comments codes , but I need to know what codes need to be changed and what codes need to be put? I'm sorry but can u help? just download your xml with activated avatars from below link.Just get download button at bottom of page. http://www.anshuldudeja.com is PageRank 5 now, hooora ! @soufiane thx for informing and ya its new year gift from google hoora ! and happy new year !!! I've followed all the steps..
but why not work on my blog..
please help me I really need it.. It will be ok then i think. ty very much for the info! thanks for the info, now my blog can use this! Hi Anshul! …really need your help.. I dont like to have the Â»orange BÂ« in the comments, neither an avatar-image, i just like to have the same image fo everybody or alternativly nothing/just white space… do you know what I mean? Do you know a solution for this? I am already totally confused, sorry about that..
@clara just go to blogger settings > comments and selct this option "Show profile images on comments? … good morning… thanks for your answer Anshul! But if I select the option Â»NoÂ« still apperars the blogspot-Logo/Â»orange bÂ« and I like to have just the name of the Person, without any Image or default-logo before… Do you think ist possible or do I have to use a totally different code for the comments? I was using the posted code in your post about the avatars/the post in Â»lebloggerÂ« the other way round and now I have a nice and clean looking comments-section, only type and no pictures! its about the Â»Followers-sectionÂ«: I really like to have the more or less same design, also no Pictures, just the name, is ist possible?? @clara ya giving no optin will still show blogger favicon but will not show profile pictures.To remove favicon there are some codes but messed up in comments so difficult to tell you as may be you would have removed them only. No for followers widget you have to keep pictures. 1. Get your own icon, resized it to 35px/35px and upload it to your server. @eric its wrong display:none doesn't allow to show profile images.If you remove it then all images will be the aove one used in your css. hello there…can you hve a look at my site… i need help please!! i am using a customized design…. @zero the template you using is working fine.See the comments avatars working here. when i posted a comment there, my avatar was not shown… it was simply using the ANONYMOUS image. @zero see now i posted comment on your blog its showing avatar of mine.Working fine yar. Friend, I'm using the Chucky template and i'd like to show the images of the blogger profile. @RP4 Ya i know, will update the themes in few days wait for it.As me updating all my themes this month and making gallery of them for my readers. @svetlana ya i have updated the latest template in that avatars are working.Why dont u also back up ur templates and widgets first and update the template.Pages also workng now on updated template. how i add avatar to recent comments?